Holiday season and the weather that comes with it is here! The ten day forecast is cold and some snow later this week. The only thing worse than having to go outside in this type of weather is having to enter a freezing cold car. You might be tempted to turn on your vehicle and let it get nice and cozy before you hop in to run into the store. The same goes for your home. You don’t want to be freezing cold in your home. At Sanders & Johnson we keep your family warm through the holidays and when you need a cozy night in from the cold. Most Denver households use a central furnace to provide heat. This is a furnace that works by blowing heated air through ducts to deliver the warm air to rooms. Typically, called a ducted warm-air or forced warm-air distribution system. These systems are powered by electricity or natural gas resources. In some of Denver and surrounding areas, the older districts have homes that have a boiler system that distributes the heat in hot water the produce heat as it passes through radiators or other devices. Some boiler systems have a hot water systems that circulates water through plastic tubing in the floor delivering what we know as radiant floor heating. • Electric Space Heaters – Please be careful using this as it may cause a house fire. 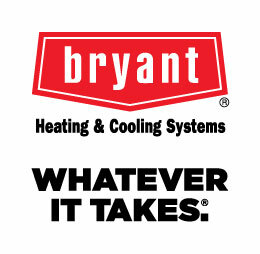 Ask us about the The Bryant® Evolution® System heat pump, Bryant’s highest efficiency performance and most comfort option. Call us for information on the Preferred™ Series and Legacy™ Line products to provide you with an economical comfortable home this season. Contact us today to keep you warm tomorrow!